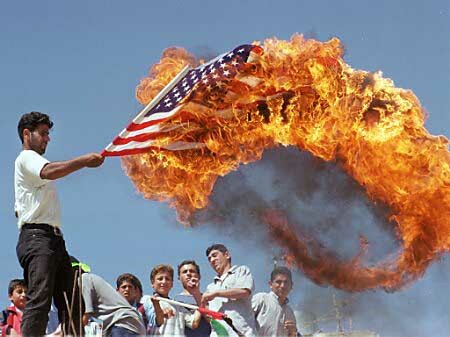 Iranian human-rights organisations appear to be in broad agreement that an appearance of American support for the opposition would only feed Mahmoud Ahmadinejad’s self-serving claims that the protests are somehow foreign-instigated, and in the words of one wag, risk a backlash of nationalism that “would make Lee Greenwood look like a flag-burning hippie”. it seems equally disturbing to simply wink at what is very probably a brazen fraud … Is there any way for Mr Obama to thread the needle? Well the news coming in this morning is that Mr Obama’s team have found quite a cunning way to do just that. One of the interesting sub-plots of the Iran story has been the massive use of the #iranelection Twitter feed to organise protests, share shock stories and generally spread information and misinformation. But this bubbling pot of discontent was in danger of going off the boil, as Twitter had planned some scheduled maintainance. So yesterday, a State Department official emailed Twitter to request that they delay planned maintainance to allow Iranians to continue to communicate their insurgency. I haven’t seen it explicitly stated, but there’s a reason this story is in the Times this morning. It allows the US Government to look like it is supporting Iranians’ right to democracy and free speech. But by talking about things like Twitter and hashtags instead of making an Obama pronouncement there’s a significantly lower risk of inciting a backlash from the rural/working class Iranians who more likely to support Mahmoud Ahmadinejad and less likely to be up to speed on the social web. An interesting example of how soft power may work in the web-enabled world – and another instance of the Obama admistration’s impressive grasp of the emerging potential of these new technologies.